Education is intimately connected to many of the most important and contentious questions confronting American society, from race to jobs to taxes, and the competitive pressures of the global economy have only enhanced its significance. Elementary and secondary schooling has long been the province of state and local governments; but when George W. Bush signed into law the No Child Left Behind Act in 2002, it signaled an unprecedented expansion of the federal role in public education. This book provides the first balanced, in-depth analysis of how No Child Left Behind (NCLB) became law. Patrick McGuinn, a political scientist with hands-on experience in secondary education, explains how this happened despite the country's long history of decentralized school governance and the longstanding opposition of both liberals and conservatives to an active, reform-oriented federal role in schools. His book provides the essential political context for understanding NCLB, the controversies surrounding its implementation, and forthcoming debates over its reauthorization. Using education as a case study of national policymaking, McGuinn also shows how the struggle to define the federal role in school reform took center stage in debates over the appropriate role of the government in promoting opportunity and social welfare. He places the evolution of the federal role in schools within the context of broader institutional, ideological, and political changes that have swept the nation since the 1965 Elementary and Secondary Education Act, chronicles the concerns raised by the 1983 report A Nation at Risk, and shows how education became a major campaign issue for both parties in the 1990s. McGuinn argues that the emergence of swing issues such as education can facilitate major policy change even as they influence the direction of wider political debates and partisan conflict. While Democrats, with an eye toward social equity, won the debate over federal activism, Republicans and New Democrats were eventually successful in focusing government intervention on accountability for academic achievement. 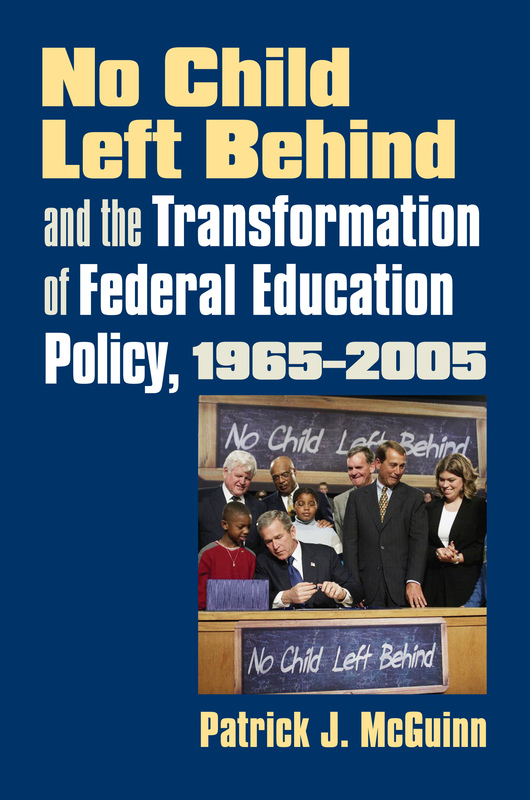 McGuinn traces the Republican shift from seeking to eliminate the U.S. Department of Education to embracing federal leadership in school reform, then details the negotiations over NCLB, the forces that shaped its final provisions, and the ways in which the law constitutes a new federal education policy regime-against which states have now begun to rebel. He argues that the expanded federal role in schools is probably here to stay and that only by understanding the unique dynamics of national education politics will reformers be able to craft a more effective national role in school reform. Patrick J. McGuinn is assistant professor of political science at Drew University.